Getting familiar with the vast amount of degrees and programs out there would be the first step. If you are considering graduate school at The University of Florida, check to see if there is an open house. Consider visiting other colleges as well. This will give you the opportunity to meet professors and ask questions about the program. Start talking to your advisor early to be sure you have all the correct prerequisites, shadowing or research hours you will need. 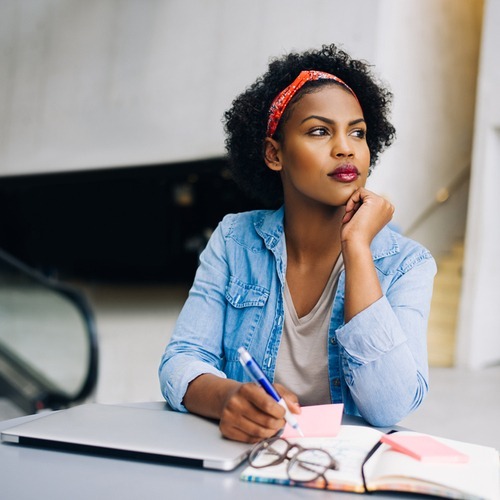 Whether you are preparing for Medical or Law School or a specific graduate program, researching the continuation of your education may feel overwhelming. Finding the right concentration for you is important. Consider all of your options, including the location of schools, degrees offered, length of time to complete the degree, funding/cost, prerequisite classes testing and other requirements needed for entrance, and so on. Learn more about The University of Florida Graduate School options here. Most graduate schools require test scores with the application. The University of Florida helps students prepare for the GMAT, GRE, LSAT, exams. They will also provide information on tests, application questions, personal statement reviews, and mock interviews. Students can make an appointment by calling (352) 392-6622 or walk into the offices located at 106 Grinter Hall. Taking a course is optional and you may not need to spend hundreds of dollars to do so. Taking a practice test a few months before the actual exam to see where to start studying will help gear how much studying you’ll need to do. By this point in college, you should have a good idea as to how you learn best. Perhaps online studying is not the best choice for you; therefore, a local class or private tutor may be a better idea. Some of the popular test prep programs are Kaplan, Magoosh, BenchPrep, The Princeton Review, Next Step Test Prep, Khan Academy, and Manhattan Test Prep. Many are offered as online classes which allow students to study at their convenience. Some also offer private tutoring in person or online, as well as regular local classes. To prepare for the MCAT while in Gainesville, check out the local Kaplan or Varsity Tutors. LSAT- Testmasters’ LSAT prep class is offered right on the UF campus. Prepare a timeline or checklist for each school you apply to. It may include GPA, test scores, letters of recommendations (LOR), personal essays, resume, interview, etc. Standardized tests are only one part of the application process. In addition, it may not be too soon to begin to look into scholarships or how you will finance your continuing education.